On Monday, October 11, 1976, I was born in Xenia, Ohio. Other than a year and a half spent living in London, Ohio, my entire life has been spent in the City Of Hospitality (Xenia, Ohio). I am a proud Graduate of both Xenia Community Schools (XCS) and Central State University (CSU). From April 2007 until January 2009, I was a Community Correspondent for the Greene County Dailies’ Xenia Daily Gazette. During the 2008 Ohio High School Football Season, I was a High School Football Columnist for the Greene County Dailies’ former publication: Greene County Shopper. Fast forward to Saturday, July 27, 2013. A meeting which was held inside of Xenia, Ohio’s Tim Hortons Restaurant led me to a long-awaited experience. On that very night, I was officially hired as a Sports Journalist & Writer for the online-only media platform “Xenia’s Word On The Street”. My positions with the Xenia Daily Gazette; Greene County Shopper; and Xenia’s Word On The Street all have one fact in common. I was hired as an Independent Contractor. While I am no longer associated with Greene County Dailies, I am still proudly associated with Xenia’s Word On The Street. Within the last two years, I have added my services to additional media platforms too. In all of my years of being a Sports Journalist & Writer, there have been many “highs” and “lows.” However, one issue is for certain. By far, the highs outweigh the lows. My passion for writing has enabled me to obtain a countless amount of enjoyable experiences. Everything in my writing past has now come full circle. Today (Saturday, September 29, 2018), a historical event is about to take place. Currently, I find myself sitting inside of Xenia, Ohio’s Doug Adam Stadium (DAS). DAS is the home of the Xenia High School (XHS) Buccaneers’ Football Team. This afternoon, I am not here to see a High School Football Game! Instead, I am present to see an event which is years in the making. In just mere minutes, a College Football Game is about to commence. Better yet, this game will be hosted by THE Central State University (CSU) Marauders! Central State’s opponent is Benedict College (BC) from Columbia, South Carolina. The Benedict College Tigers won the Official Coin Toss. However, the Tigers deferred until the Second Half. Central State’s Offense will start the game first. After the opening kickoff, the ball rested on the Marauders’ 31-Yard Line. On 3rd Down and 7 from the 34-Yard Line, CSU’s Kevin Greenhow rushed the ball to Benedict’s 46-Yard Line (20-Yard - 13:35). The Marauders’ Offense quickly struck pay dirt. On 1st Down and 10, Trent Mays completed a 46-Yard Touchdown Pass to Kevin Greenhow (13:09). Trevor Teel’s Extra Point Kick was Good. Central State leads Benedict 7-0. From the team’s own 37-Yard Line, Benedict College started its first Offensive Drive. After three plays, the Tigers managed to move the ball only 5-Yards. On 4th Down and 5 from the 42-Yard Line, Cedrick Trottie punted the ball away. Upon receiving the ball again, Central State’s Offense fared no better. In fact, a rush (which lost yards) and a Sack hampered the drive. At 10:33 from CSU’s 22-Yard Line, Isaiah Smith punted the ball. With 9:44 on the clock, Benedict College was on the Marauders’ 49-Yard Line. On 2nd Down and 6, Tigers’ Quarterback Dominique Harris threw a pass downfield. Danye Washington was wide-open. Unfortunately, the ball was too far in front of Washington. The ball fell incomplete. On 3rd Down and 6, Harris completed a 2-Yard Pass to Keivonte Gallmon. At 9:04, Trottie punted again. After the Punt Return, BC’s Special Teams Unit was penalized for a Late Hit. The Marauders received the ball at Midfield (50-Yard Line). Central State was unable to capitalize off of Benedict’s mistake. On 3rd Down and 8 from BC’s 48-Yard Line, Mays was intercepted by the Tigers’ Darryl Rolle (7:47). Benedict College’s Offense started on its own 42-Yard Line. After three rushing plays, the ball rested on Central State’s 49-Yard Line. The Tigers was faced with a decision. Either Punt on 4th Down, or attempt to obtain the First Down. At the 5:19 mark, it was 4th Down and 1. Harris kept the ball himself. To his dismay, Harris was unable to move the ball. The Marauders’ Defense was all over him. Benedict turned the ball over on downs. When it got back on the field, the Marauders’ Offense looked like it was going to do well. On 1st Down and 10 from CSU’s 49-Yard Line, Blake McEwen picked up 14-Yards (5:09). From BC’s 37-Yard Line, CSU’s Offense managed to continuously lose yards. A Pass Completion and a Rushing Play each ended with a loss of 2-Yards. On 3rd Down and 14, the ball was on Benedict’s 41-Yard Line. At the snap-from-center, Mays was Sacked by the Tigers’ Shaquille Husser (3:15). The loss of 8-Yards moved the ball back to the 49-Yard Line. On 4th Down and 22, Smith punted the ball. With 2:27 remaining before the end of the 1st Quarter, Benedict’s Offense quickly got the ball moving. At 1:46, the ball was on the Tigers’ 19-Yard Line. On 2nd Down and 6, Harris completed a 7-Yard Pass to Phillip Brown. At the 31-Seconds mark, it was 2nd Down and 9 from BC’s 27-Yard Line. Harris kept the ball himself. After he was brought down, Central State’s Javion Williams was flagged for a Personal Foul (Late Hit). The ball was moved up to the 48-Yard Line. At the end of the 1st Quarter, Central State leads Benedict College 7-0. As the 2nd Quarter got underway, Benedict faced a 2nd Down and 5 on Central State’s 47-Yard Line. After the snap-from-center, Harris completed a 9-Yard Pass to Gallmon (14:54). The next play ended with Trini Charlton rushing for 3-Yards. From there, a Rushing Play lost 6-Yards. Next, Harris threw an Incomplete Pass. Once the Incomplete Pass was thrown, the Marauders’ Defense made a mistake. Kobe Holtz was penalized for Holding (13:01). That penalty gave the Tigers a First Down on Central State’s 32-Yard Line. On 1st Down and 10, Charlton rushed the ball straight up the middle. When he was brought down, Charlton had reached Central State’s 19-Yard Line (13-Yards – 12:56). Another run (by Charlton) moved the ball to the 14-Yard Line. At 12:03, Benedict’s Offense was hit with a Holding Penalty. That penalty resulted in a loss of 9-Yards. On 3rd Down and 14, Harris completed a pass to Charlton (11:27). That play got the ball to the 15-Yard Line. With the Tigers now down to 4th Down and 6, the Special Teams Unit got prepared for a Field Goal Attempt. Rigoberto Tinoco’s Field Goal Attempt was Blocked by CSU’s Demetrius Colbert (10:38). The Marauders’ Maurice Young recovered the loose ball. He proceeded to run it back to CSU’s own 40-Yard Line. After the completion of the entire play, a flag was thrown. Colbert was penalized for a Personal Foul. The penalty moved the ball back to the CSU’s 21-Yard Line. The yardage loss was too much to overcome. On 4th Down and 29 from the 21-Yard Line, Central State was forced to Punt (10:16). Benedict’s Offense started with good field position. 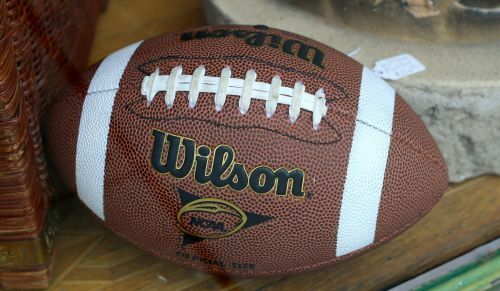 The ball rested on the Tigers’ 48-Yard Line. On 1st Down and 10, Raheem Jennings ran to Central State’s 41-Yard Line (11-Yards – 10:02). With 8:17 on the clock, BC had 3rd Down and 1 on CSU’s 32-Yard Line. At the snap, Jennings picked up 3-Yards. Jennings continued to control the ball. After two more runs, Jennings moved the ball to the Marauders’ 16-Yard Line. During the process, a First Down was obtained. From the 16-Yard Line, the Tigers’ Offense was unable to move the ball. On 3rd Down and 10, the ball was still on the 16-Yard Line. At the 5:52 mark, Harris threw an Incomplete Pass. The Marauders’ Young had the Interception. While coming down to the ground, Young was unable to hold onto the ball. On 4th Down and 10, Tinoco successfully completed a Field Goal Attempt. BC trail CSU 7-3. Central State’s Offense soon made a critical mistake. After the kickoff, the Marauders’ Offense Drive started on the team’s 20-Yard Line. On 1st Down and 10, Greenhow rushed the ball. He lost 1-Yard. During the play, Benedict College’s Olajuwone Smith forced a fumble. Smith recovered the loose ball (5:34). The ball was downed on CSU’s 20-Yard Line. Immediately, Phillip Brown rushed to the 9-Yard Line (11-Yards – 5:24). During the play, Brown spun out of a tackle. He proceeded to keep on running. From the 9-Yard Line, the drive stalled. With 4:05 remaining in the First Half, the ball was on the 9-Yard Line. On 4th and Goal, the Tigers decided to make a Field Goal Attempt. Tinoco’s Field Goal Attempt was Blocked by Central State’s K’Jamus Sanders. Sanders’ teammate Young recovered the ball. On 1st Down and 10 from Central State’s own 25-Yard Line, Mays completed a 12-Yard Pass to Terraris Saffold (3:59). As the next play was getting underway, CSU’s Redrick Mincy was penalized for a False Start Violation. That penalty resulted in a loss of 5-Yards. With the ball resting on the 32-Yard Line, the Marauders had a 1st Down and 15. Saffold took the ball to the 36-Yard Line. The ball would not move another yard. On 4th Down and 11, Isaiah Smith’s Punt was Blocked by Benedict College’s James Wilson. BC’s Elroy Maloyd recovered the Blocked Punt (2:36). The ball was downed on the Marauders’ 19-Yard Line. With 1:57 remaining before the Halftime Break, the Tigers had 2nd Down and 11 on the 20-Yard Line. Harris went on to complete the 20-Yard Touchdown Pass to Washington. In the end zone, Washington was wide-open and alone. Tinoco’s Extra Point Kick was Good. By the score of 10-7, Benedict College now leads Central State University. Although not much time remained in the 2nd Quarter, BC would end up with the ball again. With 33-seconds remaining in the First Half, CSU had 1st Down and 10 on BC’s 46-Yard Line. After the snap, Mays was intercepted by Benedict’s Traviontae Brown. The Tigers went on to run out the clock. At halftime, Benedict still leads Central State 10-7. Immediately after halftime, Benedict’s Offense made a big play. On 1st Down and 10 from the Tigers’ 35-Yard Line, Harris completed a deep pass to Drelon Freeman. The 34-Yard Pass Completion placed the ball on Central State’s 31-Yard Line (14:43). On 2nd Down and 7 from CSU’s 28-Yard Line, Harris threw an Incomplete Pass. After the play, the Marauders’ Devon Cunningham was penalized for Pass Interference (13:44). That penalty moved the ball to the 12-Yard Line. From that point, the drive would not experience any more positivity. On 2nd Down and 10, Harris was Sacked by the Marauders’ Rashaun Searles (13:34). The Sack cost the Tigers 10-Yards. On 4th Down and 20 from the 22-Yard Line, Tinoco attempted a Field Goal. The Field Goal Attempt was No Good. However, Benedict has little to worry about. The Tigers soon had the ball again. With the clock reading 12:00, Central State had 2nd Down and 9 from its own 24-Yard Line. Mays ended up being Intercepted by Benedict’s Robert Cummings. Cummings was tackled on Central State’s 18-Yard Line. On 1st Down and 10, Jennings rushed the ball to the 9-Yard Line (11:54). The next play resulted in a run which went nowhere. On 3rd Down and 1, Harris picked up 2-Yards. Benedict now had 1st and Goal on Central State’s 7-Yard Line. After a 2nd and Goal rush which lost 8-Yards, the ball was back on the 15-Yard Line. At 9:14, Harris completed the 15-Yard Touchdown Pass to Washington. Tinoco’s Extra Point Kick was good. The Tigers’ lead increased to 17-7. Once Blake McEwen returned the ensuing kickoff 40-Yards, Central State started on its 45-Yard Line. On 2nd Down and 8 from the 47-Yard Line, Mays completed a 53-Yard Touchdown Pass to Terraris Saffold (8:15). The CSU Home Crowd erupted in excitement. Unfortunately, the excitement would not last. Before reaching the end zone, Saffold had stepped out-of-bounds. Therefore, the Touchdown came off of the scoreboard. With the scoreboard displaying 7:09, the Marauders faced 4th Down and 1 on the Tigers’ 46-Yard Line. Saffold ran for 2-Yards. As a result, he obtained a First Down. Saffold soon made another positive play. On 2nd Down and 10, the ball was on Benedict’s 44-Yard Line. Saffold took the ball to the 31-Yard Line (13-Yards – 6:27). Upon completion of the next play, Central State received a gift. On 1st Down and 10, Mays threw an Incomplete Pass. Then, a Penalty Flag was thrown. BC’s Smith had committed Pass Interference (6:03). The Tigers’ mistake gave the Marauders a First Down on the 19-Yard Line. Once again, CSU was unable to capitalize off of a Benedict College Mistake. At the 5:53 mark, Mays was intercepted by BC’s Traviontae Brown. Benedict’s Offense took over deep in its own territory (2-Yard Line). Regardless of the bad Field Position, BC was able to move the ball. On 2nd Down and 8 from the 19-Yard Line, Harris threw a deep pass downfield. The pass was incomplete (2:54). CSU had 2 defenders in the area. Neither of them was able to grab the ball. Instead, the ball was knocked down. BC’s Offensive Drive stalled. With 2:10 remaining in the 3rd Quarter, the Tigers faced 4th Down and 4 on the 23-Yard Line. The Tigers had to Punt. After Mays completed a pass to Darius Meadors, the 3rd Quarter would go on to end. Benedict still leads Central State 17-7. Once the 4th Quarter got underway, the Marauders had to Punt (14:59). The Tigers’ Offense got on a mini-roll. First, it was 3rd Down and 3. The ball was positioned on the Tigers’ 42-Yard Line. Charlton rushed the ball to the 46-Yard Line (13:45). On 1st Down and 10, Harris completed a 15-Yard Pass to Phillip Brown. Brown was tackled on CSU’s 39-Yard Line (13:10). Benedict’s Offense kept coming through at the right time. On 3rd Down and 1 from the 30-Yard Line, Harris completed a 5-Yard Pass to Freeman (11:16). At the 10:00 mark, Benedict was on Central State’s 22-Yard Line. After the snap on 3rd Down and 7, Harris completed another First Down Pass (11-Yards) to Freeman. Finally, Benedict faced 3rd Down and 1 on Central State’s 2-Yard Line. With the clock reading 8:29, Harris took the ball into the end zone. Tinoco’s Extra Point Kick was Good. By the score of 24-7, Benedict College leads Central State. Central State’s Offense responded well to Benedict’s latest score. At 7:52, the ball was on the Marauders’ 27-Yard Line. On 2nd Down and 7, Mays completed a pass to Kevin Greenhow. The 32-Yard Pass Completion placed the ball on the Tigers’ 41-Yard Line. All good things must come to an end. With 7:03 remaining in the game, CSU had a 2nd Down and 4 on BC’s 35-Yard Line. Mays was intercepted by Benedict’s Robert Cummings. However, Central State got a “Lucky Break”. Benedict’s Darryl Rolle was flagged for Pass Interference. The penalty placed the ball on the 20-Yard Line. On 1st Down and 10, Saffold was handed the ball. When he stopped running, Saffold was in the end zone (6:38). Trevor Teel’s Extra Point Kick was Good. CSU now trails BC 24-14. With not much time remaining in the game, the Marauders’ Defense made a huge play. At 1:56, Benedict was on Central State’s 40-Yard Line. After the snap-from-center on 3rd Down and 5, Harris was intercepted by CSU’s Devon Cunningham. Cunningham intercepted the ball on his team’s 25-Yard Line. Before he was tackled, he had brought the ball up to the 45-Yard Line. A Flag was thrown. After CSU’s Shemar Moss was penalized for an Illegal Hit (after the Interception), Central State’s Offense started on its own 25-Yard Line. By Trent Mays successfully passing the ball, CSU managed to get the ball to Benedict’s 30-Yard Line. With 48 seconds remaining in the game, the drive all came to a crashing halt. On 1st Down and 10, Mays was intercepted by BC’s Cummings. By the Final Score of 24-14, the game would go on to end. While this game did not end how I exactly wanted it to end, this entire day was very historic. In the past, I have written (more than once) about the need for Central State University to play football games inside of Doug Adams Stadium. Today I fulfilled my dream. This is a great start. In the future, I pray that it continues. Better yet, I feel the following way. Central State University’s Football Team should go around to the various football stadiums of Greene County, Ohio’s High Schools. Each year, rotate the process. Play games in the various stadiums. The annual event could be labeled: “GREENE COUNTY CLASSIC.” Will my creation ever come to existence? I do not know. Officials with each entity need to come together. If that occurs, something will happen. Right now, I do not know what that “something” would be. Can The Spring Valley Timberwolves get back to the class AAA state championship for a 3rd time in a row?